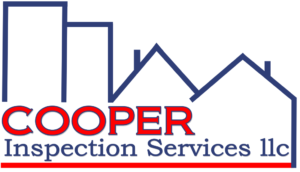 Cooper Inspection Services performs home inspections all over New Jersey so we see a wide variety of defects. Some are rare and require the expertise of a licensed specialist and some are fairly easy for the homeowner that is handy and willing to take on some projects. Here are some of the most common defects that we find when inspecting homes in New Jersey. Downspouts that drain too close to the home are a very common issue. The soil next to the foundation is more porous because it has been disturbed when the area surrounding the foundation walls was backfilled. This will allow water to pond and pool next to the foundation which could lead to shifting or cracking of the foundation and possible moisture intrusion. The easiest solution is to purchase downspout extensions that can carry the water at least 6 feet away from the home. Although GFCI protection may not have been required when a house was built, it is now required in the kitchen, bathrooms, laundry room, garage and unfinished basement areas. Replacing standard outlets with GFCI protected outlets is not that difficult, but if you are uncomfortable working with electricity, you should contact a licensed electrician. Also keep in mind that not all kitchen outlets will need replacement, you can replace the upstream outlet and all other outlets that are downstream will be protected. Bathroom vent fans must vent to the exterior of the home, whether it is through the roof or an exterior wall. Venting moisture into the attice will create condensation on the roof framing members and insulation. In a poorly vented attic, this can also lead to mold growth. Attic ventilation is one of the most overlooked systems of the home even though it contributes directly to durability and moisture control. Attic ventilation helps reduce heat buildup in the summer, moisture buildup in the winter and helps prevent ice damming in cold climates. The optimal attic ventilation setup combines soffit venting with a roof ridge vent, although there are other venting combinations that will also suffice. The soffit/ridge combination takes air from the lowest point of the attic(soffit) and exhausts it through the highest point/peak(ridge) of the attic. Other types of attic ventilation are gable vents, roof vents, attic fans and wind turbines. Although most of today’s homes have vinyl siding that doesn’t need painting, they still have wood trim with paint that deteriorates over time. Wood trim should be inspected yearly and any areas with exposed wood should be scraped and painted. This not only looks good, but the paint actually protects the wood from moisture which could lead to rot. Caulk also deteriorates over time and will shrink and crack which will allow moisture to penetrate and cause rot and mold. Areas to inspect include the counter and sink area in kitchens, the sink area in laundry rooms, and bathroom sinks, tubs and showers.